It’s New Year. After the excesses of Christmas, and considering the current economic climate, it’s more than ever a time for a bit of belt-tightening. Here are some chutneys that might help with that, literally – Chilli Chutney Man’s Perfect Sweet Chutney range. Chilli Chutney Man has a bit of a reputation when it comes to making a damned tasty chutney. Now he’s teamed up with Healthy by Nature, the producers of the natural sugar alternative Perfect Sweet. The result’s a range of three delicious, sugar-free chutneys and one marinade that’ll appeal to dieters as well as healthy eaters and people who like good chutney. 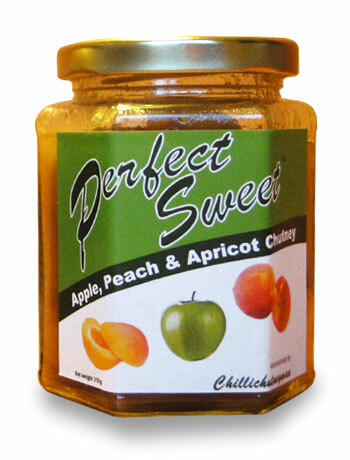 Perfect Sweet has fewer calories and available carbohydrates than sugar and a very low GI (glycaemic index) value of just 7, making it ideal for dieters. It also actively helps promote healthy teeth and is totally natural, produced from sustainable birch wood. Despite these benefits Perfect Sweet looks, tastes and behaves just like sugar. 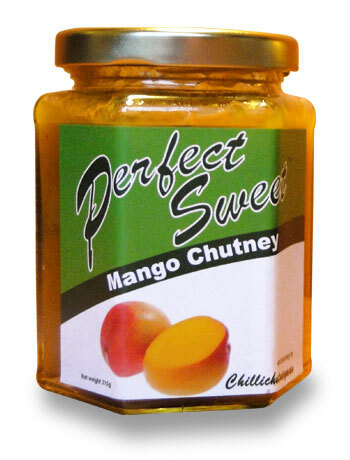 We road tested the Mango Chutney and the Apple, Peach and Apricot. Despite the absence of sugar both were plenty sweet enough and they didn’t have the unpleasant after-tang some alternative sweeteners can have. 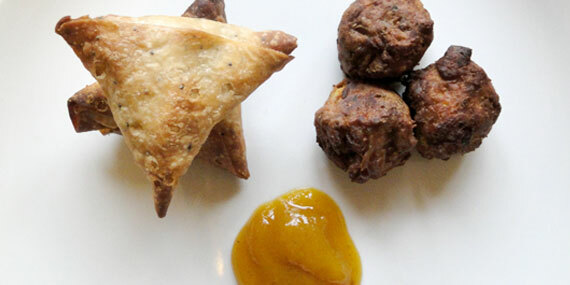 The Mango Chutney made a fine accompaniment to some spicy Indian pakoras and samosas. The Apple, Peach and Apricot was chunky, absolutely packed with fruit, and in Chilli Chutney Man’s words – a real cracker with cheese. The Italian gave it a whirl with roast pork – big grin and a thumbs up from him. The range also includes a Sunshine Chutney, bursting with fruit and a touch tarty, it’s good with mature Cheddar, tandooris and fish. It also makes a great glaze for roast duck, chicken or turkey. Their Bolivian Rainbow Chilli Ginger Marinade, quite a mouthful, in more ways than one, gives a pleasant, warming glow. In buying them not only will you be getting some tasty chutneys, you’ll also be helping a small, local independent producer, which we think is important.